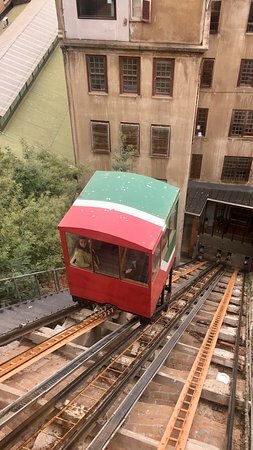 Short and cheap ride up, breathtaking view! 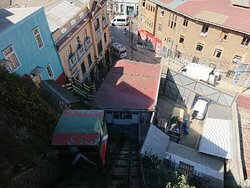 ... in the city and one of the cheapest at $100.00 Chilean pesos per person. 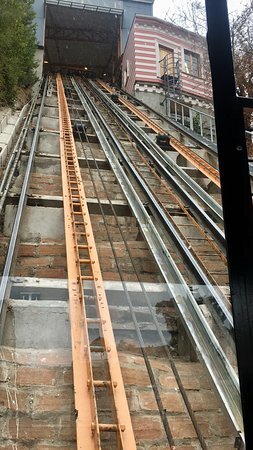 When in Valparaiso, it's a must to use the funicular. 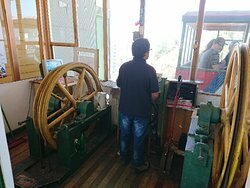 Many of them are over 100 years old, and they are very cheap - as an essential means of transport should be. 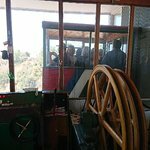 Great views from the top, and a great experience. This is like riding something you would find in a museum, definitely worth the small price, to get down to the water! 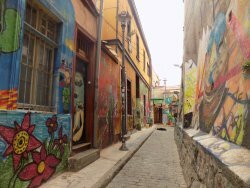 A must to get the feel of Valparaiso. Pretty much hidden, like all the ascensors, but linking the esplanade area to the attractive Dimalow area. Living history, with efficient staff. 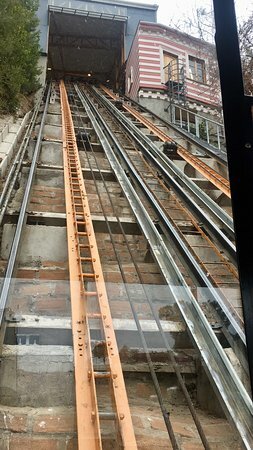 These types of funiculars are all over the city's hills and are the best way to get to the tops for great views and also to start your walking tours as you work your way down the hills. This is a quick, fun, cheap (CHP100) ride. We went up at night. 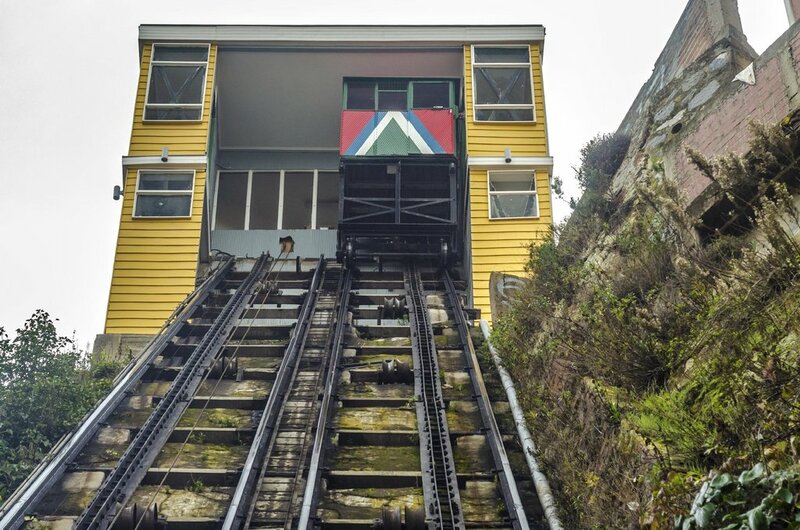 Being steep - and a bit old - it was noticeably wobbly during the ascent. Entrance was no problem. The board walkway at the exit has a nice view of the neighborhood. 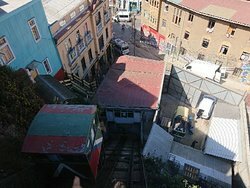 Visitors to Valparaiso must ride the ancient funiculars and this is one of the best. 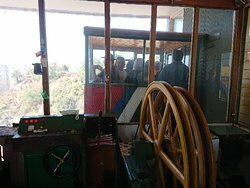 A short, cheap, scenic and well maintained, century old ride connects a place of great views, restaurants and hotels with the downtown area. 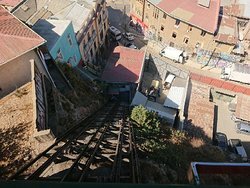 The many “ascensors” in Valparaíso are worth using although sometimes difficult to find. 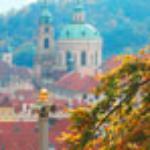 Stick to the UNESCO area though as down town is scruffy ( not quaint) and not recommended late at night. 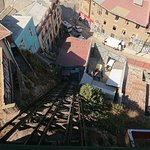 Get quick answers from Ascensor Reina Victoria staff and past visitors. 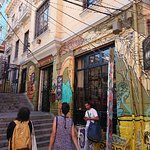 Siempre respondo lo mismo a todos mis clientes que vienen del extranjero cuando me preguntan si Chile es o no un lugar seguro para visitar. Mi respuesta es: ¡SI! 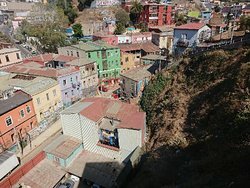 El problema radica en que los visitantes de fuera de Chile deben consultar antes cuales son las áreas seguras por donde pueden caminar y conocer sin tener mayores problemas. 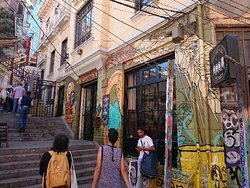 Como en todas las ciudades del mundo, hay personas que se dedican a robarle a los turistas que andan descuidados y no atentos a la ruta que han decidido tomar durante el día y la noche. Yo soy un convencido de que "la oportunidad hace al ladrón". 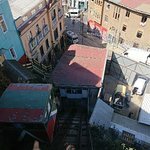 Yo invito a todos los amigos del resto del mundo a venir a Chile y disfrutar de las maravillas que tenemos para mostrarles, una rica gastronomía, los mejores vinos del mundo, playas, ríos, montañas y urbes donde alojarse y recorrer. Eso si, lo mas importante es que al caminar por cualquier lugar con afluencia de gente, lo haga con la boca cerrada y los ojos atentos a lo que sucede alrededor.